Suomi Hand Script is a hand made typeface created by Tomi Haaparanta and published by Suomi which is over 700 ligature pairs to ease your work. Made for minicking handwriting, is perfect for display, poster, headline, text etc. 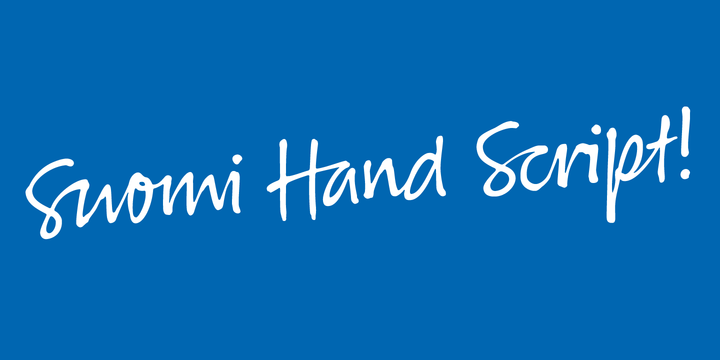 Note: “Suomi Hand Script” is a trademark of Suomi. Price: one font for only $60,00. A font description published on Wednesday, April 27th, 2016 in Fonts, Suomi, Tomi Haaparanta by Alexandra that has 4,509 views.